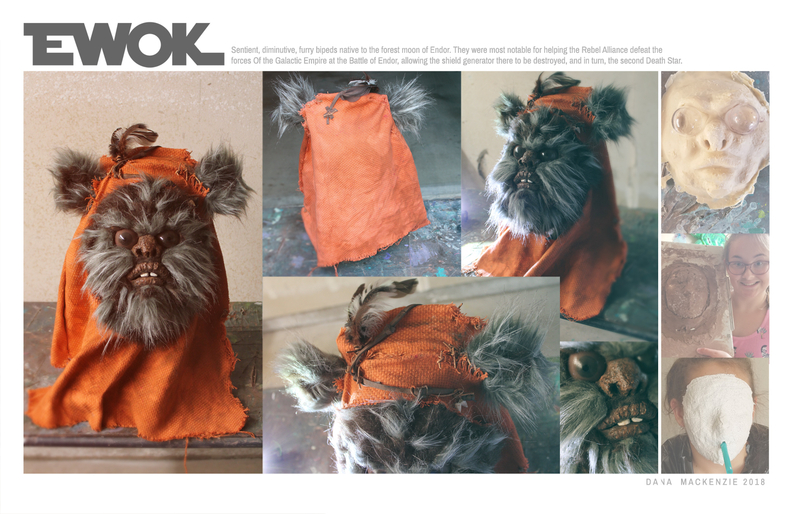 Built 100% from scratch this Ewok creation will be making his debut at LA Comic-Con next month. The head was sculpted in clay over a plaster face form (based on my daughter's face), a plaster mold was generated from that and the final mask was created in Latex. Airbrushed and hand-painted for final coloring and details. Fur was manually glued into place piece-by-piece using rubber cement. 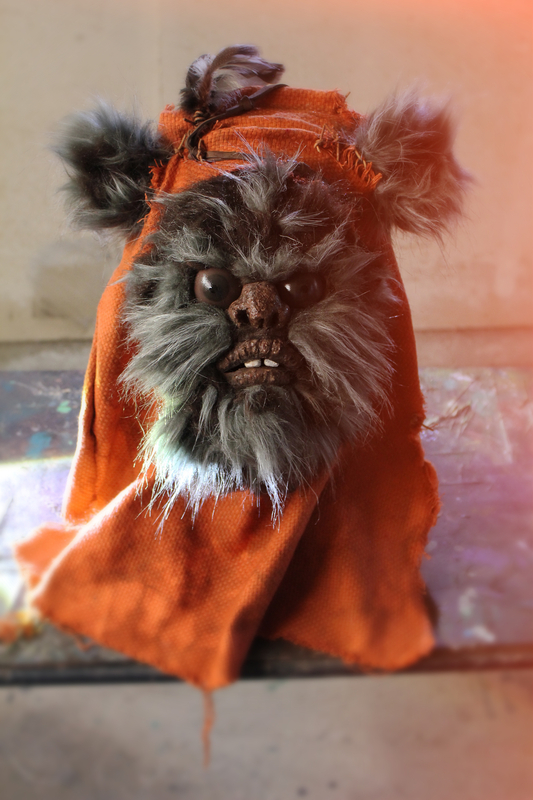 The hood and accompanying details were also fabricated and stitched by hand. Fully-wearable. The final outfit will have latex hands and a fake wooden spear -- you know -- to stab enemies with.